Can't believe I've left this one out til now. 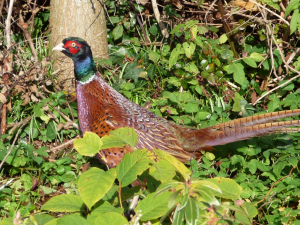 This pheasant came into our garden and ate the seeds that had fallen onto the ground from our feeders. I was able to creep quite close to him to get some photos and then left him in peace (luckily the cat was inside).